Acclaimed conceptual artist Bruce McLean debued a vast new body of work titled Garden Ware that was on exhibition at the V&A in London for the London Design Festival 2017. 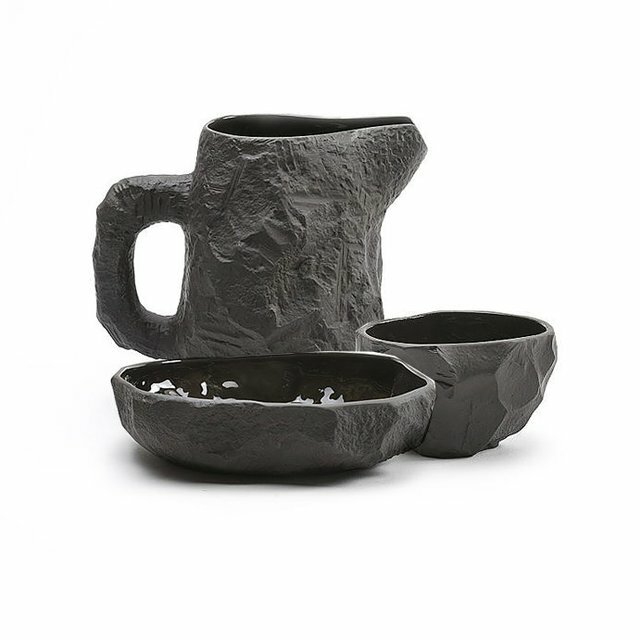 The collection includes one-off earthenware creations by Bruce, including vases, bowls, platters as well as tableware. Stemming from a series of 50 Platters, Bruce selected 4 artworks that have been reproduced as silk screen decals and now adorn a series of dinner plates. 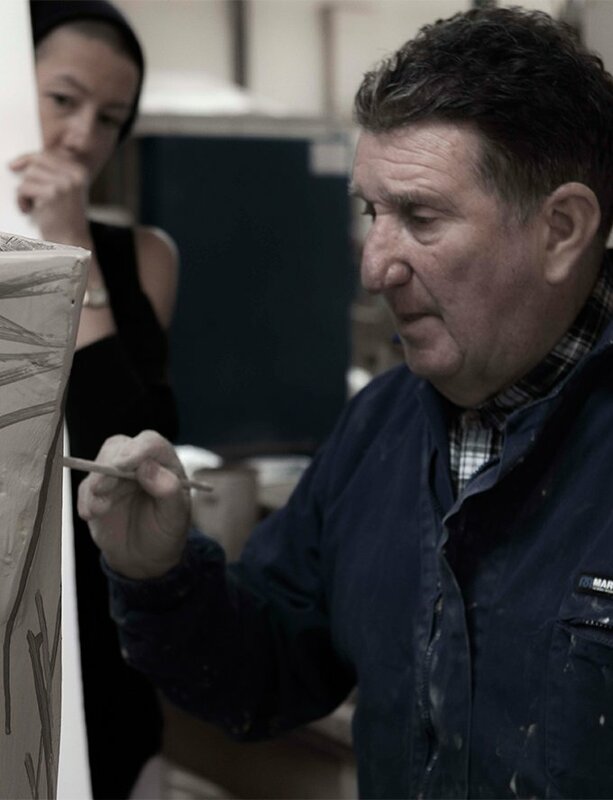 Acclaimed conceptual artist Bruce McLean debuts a vast new body of work titled Garden Ware that was recently on exhibition at the Victoria and Albert Museum in London. The collection includes one-off earthenware creations by McLean, including vases, bowls, platters as well as tableware. As part of the Icon Collection one vessel form has been reproduced to create a series of production jugs. Decorated using a silk screen decal, each jug is unique as the lithographer applies the pattern to the piece differently each time.